Olden Yolk is the project led by songwriters Shane Butler and Caity Shaffer. Their 2018 self - titled LP enveloped listeners in a sound uniquely of - the - moment yet simultaneously time - tested, oscillating between art rock tendencies and delicate, yet angular ballads. The project was initially conceived in 2012 by Butler as an outlet for one - off songs and visual art while touring and releasing albums with the band Quilt (Mexican Summer). 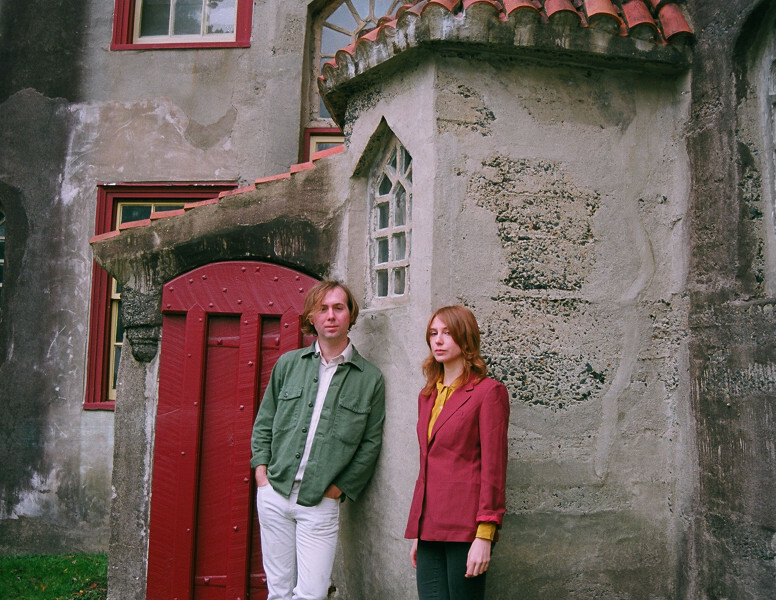 Following the release of a split - record with Weyes Blood in 2014, the duo released their first full - length LP on Trouble in Mind in 2018. The record grew from a poetry collaboration Shaffer and Butler started in 2016, in which they would write a poem to each other each day. On their second studio album, Living Theatre, these l ines jump from the page into an animated, breathing organism. Living Theatre conjures moments of stark minimalism and cinematic maximalism, most potent for Shaffer and Butler’s lyrical intimacy and vivid arrangements. The title was inspired by the experime ntal thespian movement in New York of the same name, in which actors broke from tradition by creating an experience of communal expression. Their songwriting palette takes cues from influences as disparate as avant garde punk, psychedelic folk, and experim ental electronic music. Inspired by both freedom and restriction in their creative practice, the pair set to record the album in a constrained period of 3 months after spending a year on the road touring without a home base. They wrote all summer, in a spa ce with no windows, molding private conversations into more expansive works that address concepts of home, spirituality, and ancestry in a contemporary landscape. “Grand Palais” is a celebratory inquiry into the practice of self - compassion, while the more ominous “Distant Episode” (named after the Paul Bowles story about a linguist whose tongue is cut off) paints a picture of a woman trapped inside a room with a television.